Burgess Hill Ladies rugby team 'The Black Widows' were formed just over 2 years ago and have been going from strength to strength ever since. But what is an inner warrior camp? 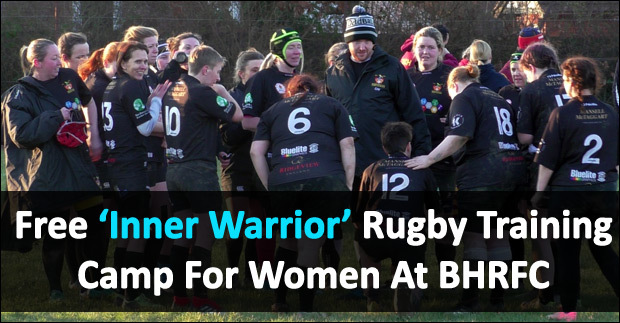 The Inner Warrior campaign aims to encourage more women and girls to play rugby, teaching participant’s key introductory skills and drills for rugby within a non-committal, social and fun environment. Why would i want to join the Burgess Hill Ladies Rugby (The Black Widows)? The team is made up of a whole group of diverse ladies who love to have fun and enjoy the benefits of playing rugby including keeping fit and an awesome social scene. There really is no experience necessary, so whether you are new to the game or looking to get back into playing , why not come give us a try! Spread the word! 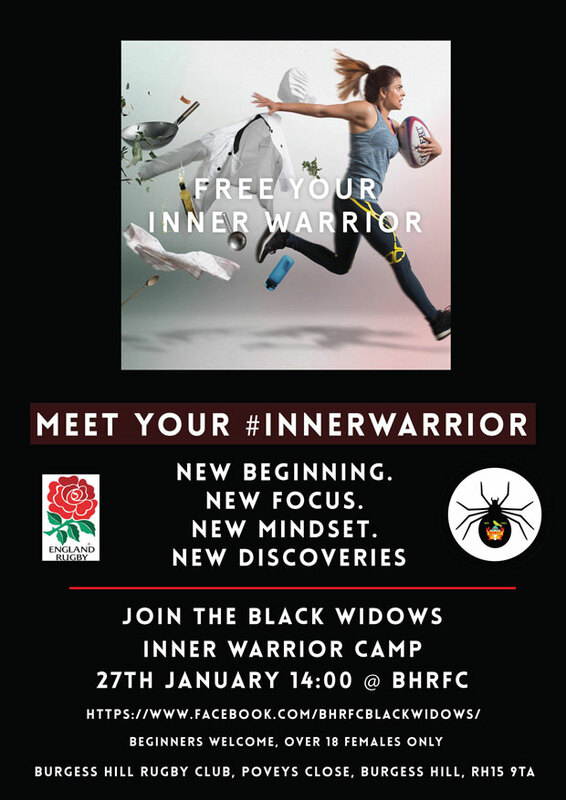 Burgess Hill Rugby Club are holding a free 'Inner Warrior' training camp for Women. Do you fancy a go at playing Women's Rugby?